It took four years of experimentation to come up with a real house made of cardboard. It is now in production and may be bought on-line from Wikkelhouse; just send an e-mail telling them where you want it. The house is made by a machine to which a prefabricated wooden frame is attached, on which 24 layers of cardboard obtained from a parent reel are wound and glued with eco-friendly superglue to create a huge new “roll” of cardboard, the core of which is the space forming the house. The façade of the house is of course composed of two identical rectangular wooden forms with rounded corners, joined by beams to improve the process of winding each basic unit. These are then connected together end to end to create a basic house made up of three units measuring 1.20 m each, a total length of about 3.6 m. Each unit, with a façade 4.6 m wide and 3.5 m high, is then covered with strips of wood, as are its interiors, with great attention to detail, in minimalist style. 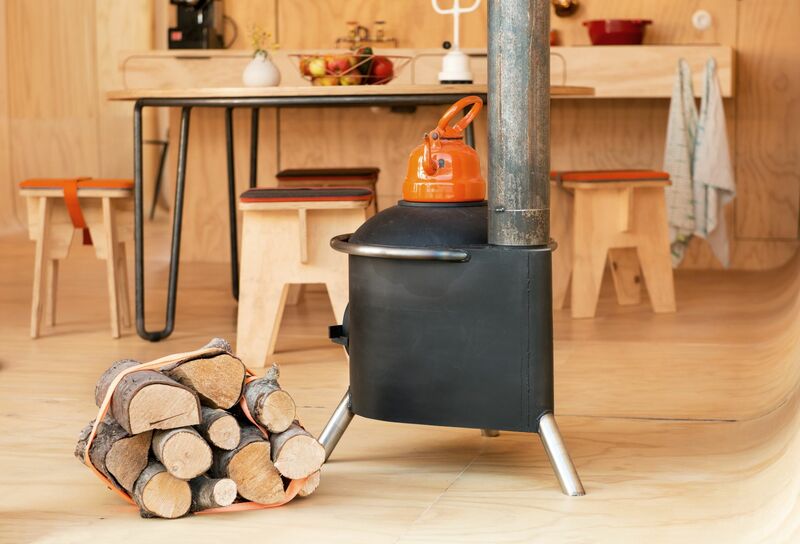 The bathroom, cooker and heating system, a small stove, are reduced to a minimum, but fully satisfy customers’ expectations and quality standards. There is no limit on the number of units that can be joined together, and in a video made by the manufacturers to illustrate the home ironically points out that basic modules can be put together to form a train 127 m long! Along with its relatively low cost, the benefits of the house include equally low weight, as each unit weighs about 500 kg so that it can, provided the opportune tests are performed, be placed on the roof of an existing building or in a garden. All this because the home rests on the frame supplied by the manufacturer, which is also made of wood and raises it above the surface it rests on, ensuring sufficient ventilation and convenient connection of utilities.